Have looked up the authority book on village names - called Place Names of Pembrokeshire. Llanteg has been spelt many different ways over the centuries - Lanteg (1324 Calendar of Inquisitions Post Mortem), Llanteage (1569 Francis Green Manuscripts). Lanteague seems to date from 1789 (Picton Castle Coillection) while there was even a Nanteg in 1329 and other variations. No specific mention of when the current spelling emerged - though it might have developed with the arrival of post offices etc. Something for us to look into! The village is currently called LLANTEG - but the old Mountain Chapel has a different spelling of LANTEAGUE. 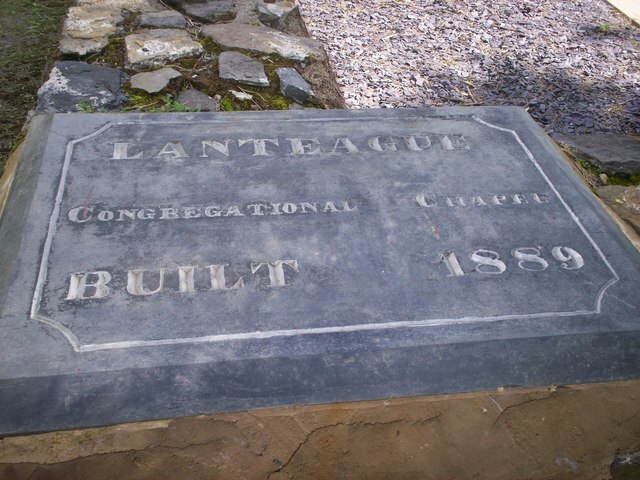 Oddly although the spelling is in the Welsh form of Llanteg it is always pronounced as if it was spelt Lanteague.